I have welcomed this Budget, but with fingers crossed. First, it may be based on faulty statistics. Second, the global financial typhoon sweeping across emerging markets may make nonsense of all Budget projections. Nominal GDP is projected to grow 11% and tax revenue by 11.7%. If these projections are based on reliable statistical data, and the world economy holds up, all may be well. But there are doubts on both scores. Green Paint on Red Ink? The Central Statistical Office (CSO) has projected 7.6% growth in 2015-16, the highest in the world. But corporate results stink. Top-line growth has been stagnant or falling for large companies for several quarters. The index of industrial production (IIP) shows virtually zero increase in manufacturing in the September-December quarter, but the CSO declares that manufacturing boomed 12.6% in the same period! The gap is not just large but ridiculous. The Budget touts a series of measures to spark an industrial revival, but the CSO implies there is absolutely no need for a budgetary push, since manufacturing is already booming! Railway earnings in 2015-16 suffered a shortfall of 8%. Is this consistent with a boom? Our top statisticians like Pronab Sen and T C A Anant are skilled, honourable experts. Nobody should accuse them of fiddling data. But the statistical puzzles call for an independent expert review of the new methodology they adopted two years ago. Equally puzzling is the gap between the wholesale price index (WPI) and consumer price index (WPI), which has been as high as seven percentage points. For monetary policy, the RBI has switched from WPI to CPI for a benchmark. But the enormous gap between the two indices raises serious questions whether the RBI can have a clear idea of how high inflation really is. Industrialists facing falling producer prices say real interest rates are crazily high, killing industries hit by Chinese dumping. Huge bank NPAs seem to confirm industry woes. Yet, the CSO claims we have a triumphant manufacturing boom, in which case interest rates are not too high. The whole world economy is in trouble, slowing for a third successive year. Indian exports have been falling for 14 successive months. That is not consistent with a manufacturing boom since exports accounts for a big chunk of manufacturing. All the miracle economies that grew by over 7% had double-digit export growth. For GDP to soar in India while exports collapse is just not credible. 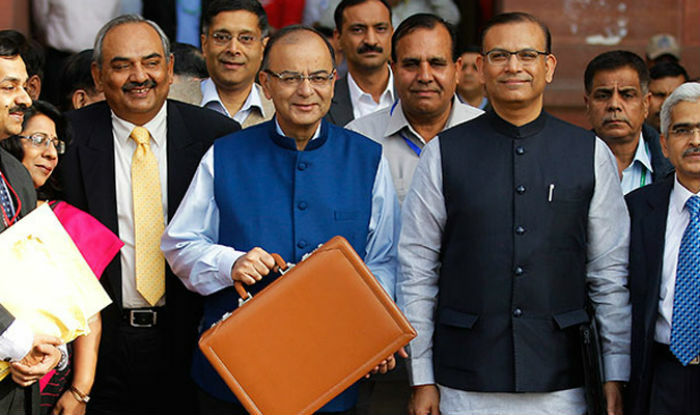 The Budget assumes more or less the same GDP growth as last year. If that growth rate is lowered by a statistical review, it will make a mess of the coming year’s projections. Still Too Big to Fail? But a bigger threat comes from chilly global winds. The trouble started in China but has now spread to Europe and even the US. Deutsche Bank, Europe’s largest bank, is in serious trouble. Its price-book ratio of 0.4 — implying that only 40% of its loans are good — is as bad as that of some Indian public sector banks. In the US too, the share prices of many top banks have crashed. In part, this represents the distress of banks that have made dud loans to energy and commodity companies, and corporations dependent on sales to a slowing China. In part, it represents the failure of European banks to recapitalise enough after the great meltdown of 2008. But a new, ominous reason appears to be that quantitative easing (QE), used by central banks to try and boost western economies, is boomeranging. Banks make money by borrowing at low short-term rates and lending at higher long-term rates. But QE has reduced dramatically the difference between short-term and longterm rates. This is ruining the interest spread that has traditionally provided the bread and butter of banks. At a time when they are already under stress, it is a serious threat. China’s GDP slowdown from 12% to 6.8% was supposed to be a planned rejig, shifting its economy from high investment and exports to lower investment and higher domestic consumption. But the country’s huge asset bubbles in property and stock markets are bursting, and the panic is leading to an unprecedented capital outflow of $100 billion a month for seven months. The world has never seen such an exodus, inducing panicky outflows from all emerging markets. Wall Street experts think China overstates GDP growth, which may be no more than 4-5%. The IMF has faith in China’s data but its citizens don’t, and are fleeing into dollars. Chinese overcapacity means dumping will continue for years. Commodity prices may also remain low. Most western countries are politically uninterested in a fiscal stimulus, and monetary policy has little clout when QE may have become part of the problem rather than solution. The one shining light is the strength of the US, the world’s biggest economy. Unemployment there is down to 4.9%. Maybe the US will stabilise the world economy, ending the current investor panic. But if not, then India’s Budget (and economy) will not be the only casualties.